Woodford Congregational church was founded about 1790. Additions, including a new schoolroom, were made in 1861. The building was a rectangular stucco-faced building in the neo-classical style with a Corinthian portico of three bays. 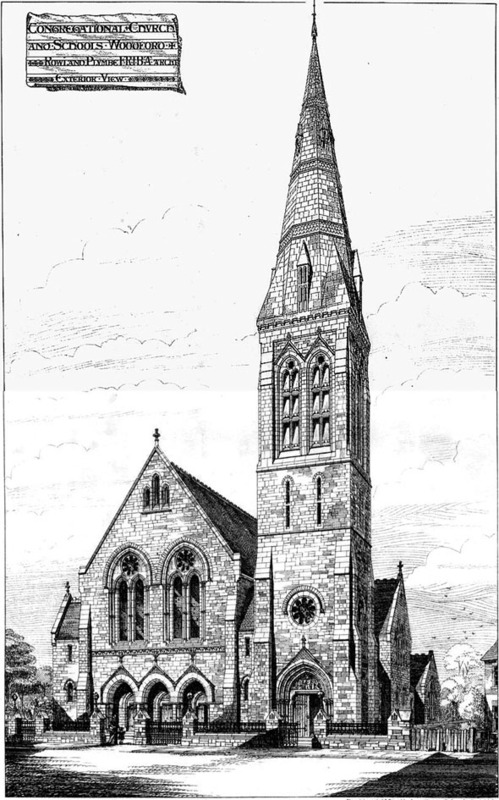 It was demolished in 1873 and a third church, built on the same site, was opened in 1874. This was designed by Rowland Plumbe, (fn. 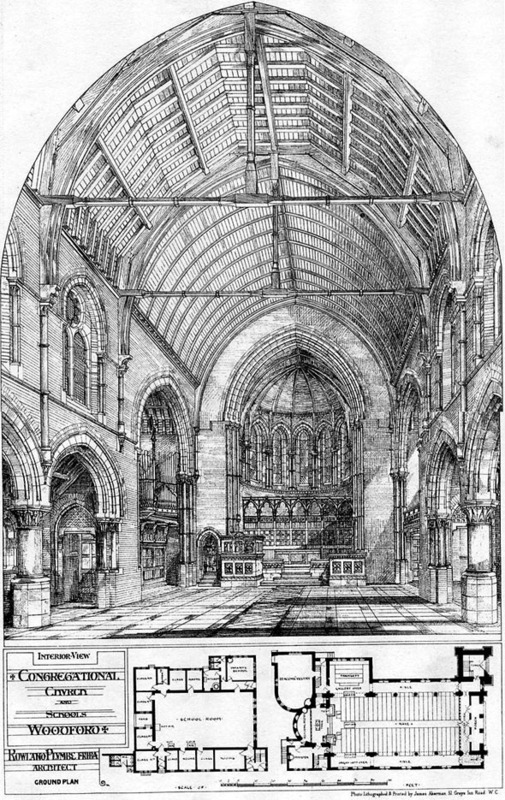 116) and built of stone in the Early English style with a tall spire, ‘the high water mark of Congregational Church building in Essex’.